Crockpots make the world go round! I’m feeling pretty accomplished right now, but there’s still a lot I need to get done today. I got up around 4:30 am to help the hubby get ready for work, and got the baby fed and back to sleep before starting work at 6am. I fed him again during my break just after 8am, and finished up work around 10. I managed to take a shower, get the kiddos up, changed, and fed, and get dinner into the Crockpot before noon. I also finished our meal plan for this week. I really enjoyed the way making our meal plans in advance have been helping us save money on groceries, but there have been days when we got busy and it was hard to get everything done and still find time to cook. With that in mind, I changed the meal plan this week to include a LOT of Crockpot meals so I don’t have to spend my evenings away from the family cooking. I’ve been googling healthy Crockpot recipes like mad and I think I’ve found some interesting ones that the hubby and kids will actually eat. 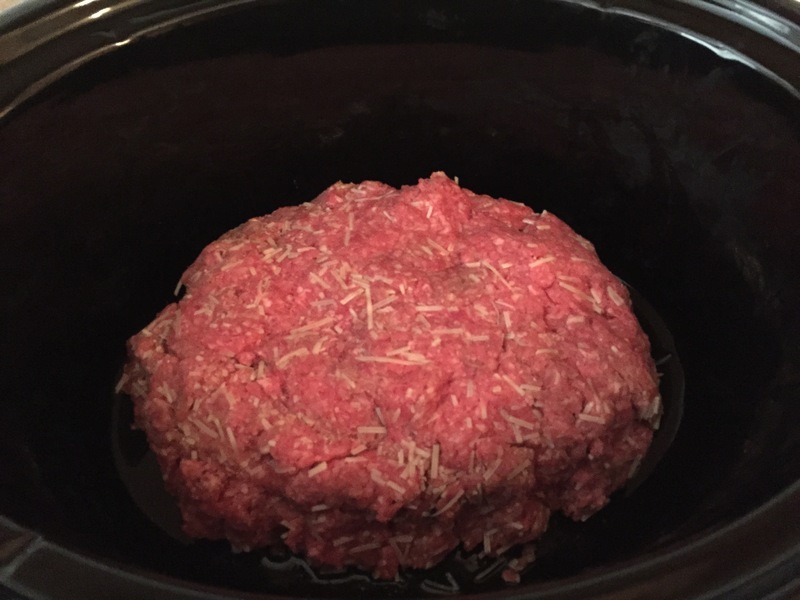 I’m really curious how the Crockpot meatloaf is going to turn out. It’s supposed to cook for at least 8 hours which seems like a long time, but it means I don’t have to constantly watch it while trying to corral the boys so I’m hoping it’s a winner! Now it’s time to go pick up our CSA basket, and hopefully when we get home I can get my run in, get some Spanish done, and hang the rest of the laundry. I kept washing laundry while I was sick but didn’t really hang anything, so I’ve got a bit of a clean laundry mountain piling up again that I need to tackle. If I have any time left after that I’m going to work on doing some more cleaning and organizing before bed. I didn’t quite follow my schedule of spring cleaning, and even though we added some projects and got a ton done I still don’t feel like it’s where I want it to be to entertain guests and have a more relaxing, less cluttered feel. School starts tomorrow, so I want to get as much done as possible before I add in the extra responsibility of homework. It’s just been a little hard to keep things clean with Micah around — he’s my adorable little tornado! My close friend offered to help me organize some things, and I think I’m going to take her up on the offer. I’m terrible at downsizing, especially when it comes to the kids’ toys and clothes, but we’re absolutely drowning in clutter so it had to be done. I’m a little bit of a pack rat by nature so sometimes I need someone to call me out on the collections of useless crud that I keep accumulating. It’s actually a little bit scary that I’ve already done 4 huge donations to either Goodwill or different church fundraisers (the scouts and some other groups do large-scale yard sales to help with their budget) in the last year and somehow we still have so much stuff that our huge house feels crowded. I need one more absolutely huge donation so I can be done with reorganizing for a while, and I think having an outside perspective on what I’m going to regret keeping will help a ton. Friends are awesome! How is the end of summer changing your schedule? Do you pre-plan all of your meals, or are you more spontaneous about it?